TKS TRANS Sp. z o.o. has been operating since 1994 and specialises in international and national transport services. We use modern solutions that let us improve the conditions of both our company and the environment. Our experienced shipping agents will give you advice on any complex matter connected with shipping and transportation. We travel everywhere our clients need us to get, because we use the most modern means of transport. 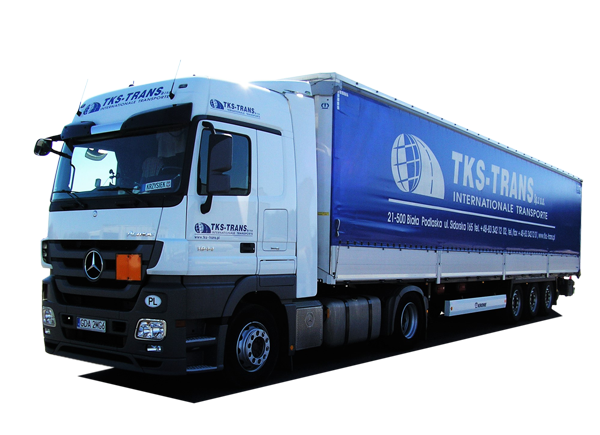 Our company offers a modern and well equipped cargo fleet capable of delivering and acquiering products on time. Our drivers are licensed for transporting hazardous articles ADR confirmed by the appropriate certificates of training for transporting hazardous articles. A qualified team of employees is at your disposal, ready to provide services of the highest standard. How to order a shipment? Click in the button below and fill the contact form. Be sure to include all required information and wait for our response! Which forms of transport do we provide? Take a look on our fleet! Do we have all the necessary documents? 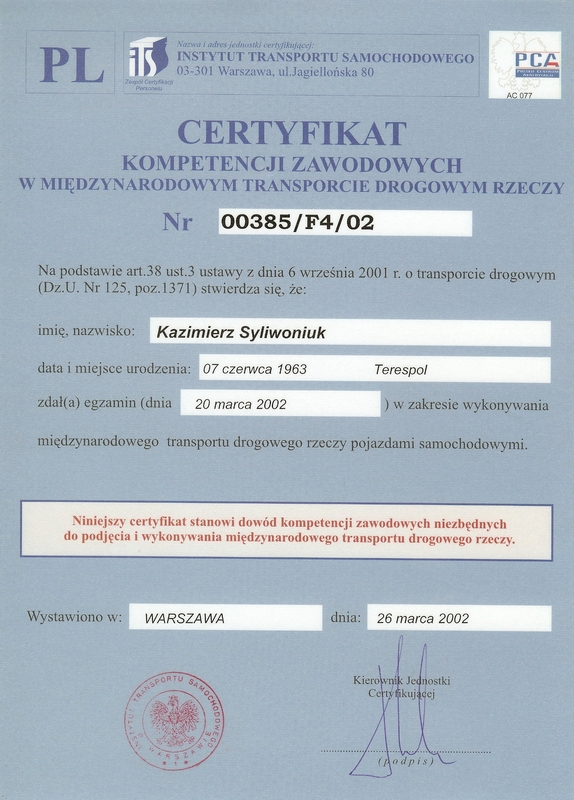 Yes, our team always takes care of 100% correctness of the transport documentation. Each shipment insured for at least 250 thousand USD!